Barbara Romeril Consulting approached Sullyproductions looking for an entirely fresh approach to her brand. She works with local councils and communities as an advisor and facilitator to groups across a range of disciplines. 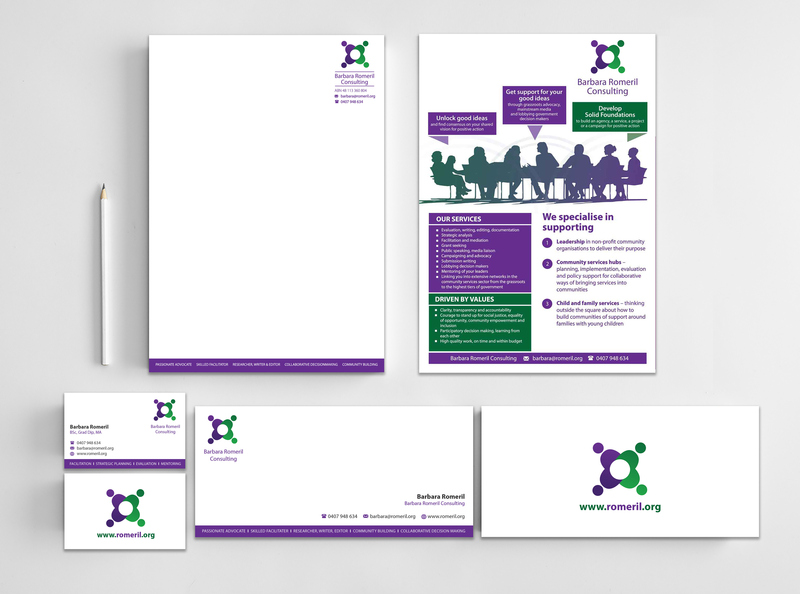 Barbara was delighted with her final suite, including new logo, letterhead and company brochure. We are looking forward to working with Barbara in the future.